William Byrd called it, “a vast Body of mire and nastiness.” George Washington declared it a, “glorious paradise.” Adam and I called it the perfect place for a weekend trip. That’s how we wound up spending a day in the Great Dismal Swamp. 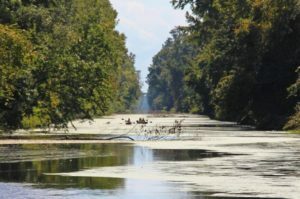 It certainly doesn’t sound like a place worth spending any time, especially a Saturday, but the Great Dismal Swamp holds an interesting place in history. Located on the border of Virginia and North Carolina, researchers estimate that the swamp dates back as far as 13,000 years ago, long before even North America’s native tribes would have taken up residence in the region. 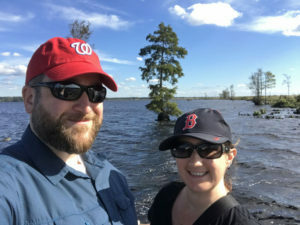 Adam stumbled upon the Great Dismal Swamp by chance; after noting that travel authorities including Condé Nast recommended the swamp as a place to capture great photos and see wildlife, we were both curious. Mire and nastiness or glorious paradise? We decided to find out for ourselves. 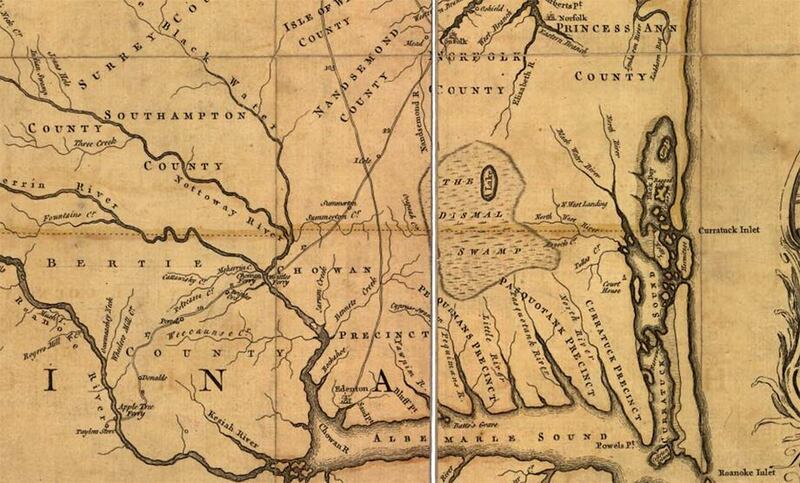 Even the Great Dismal Swamp’s early history is bogged down by missing facts and confusion. 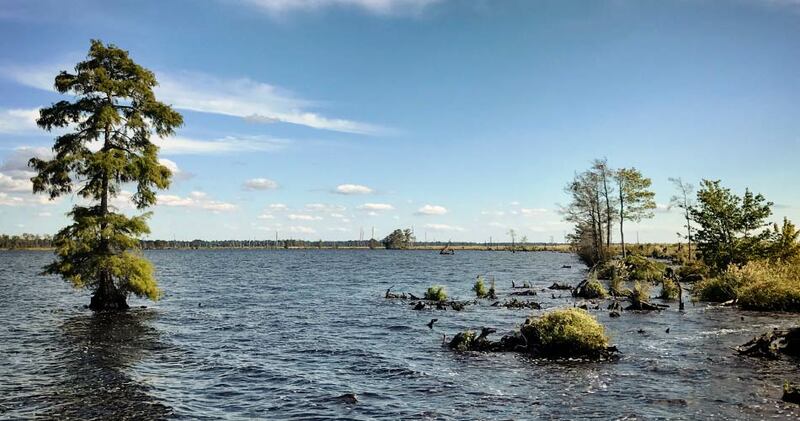 While researchers believe the swamp once extended for more than one million acres, they are not able to explain the natural lake that sits at its center. Lake Drummond, one of Virginia’s two natural lakes, is more than 3,000 acres, yet it has no rivers or streams emptying into it that might explain how or why it formed. 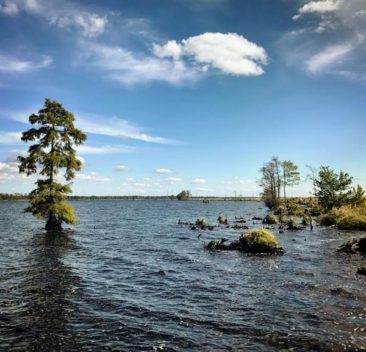 While much of the Dismal Swamp’s history has yet to be uncovered, there is evidence that Algonquin tribes lived in the swamp until the mid-1600s. 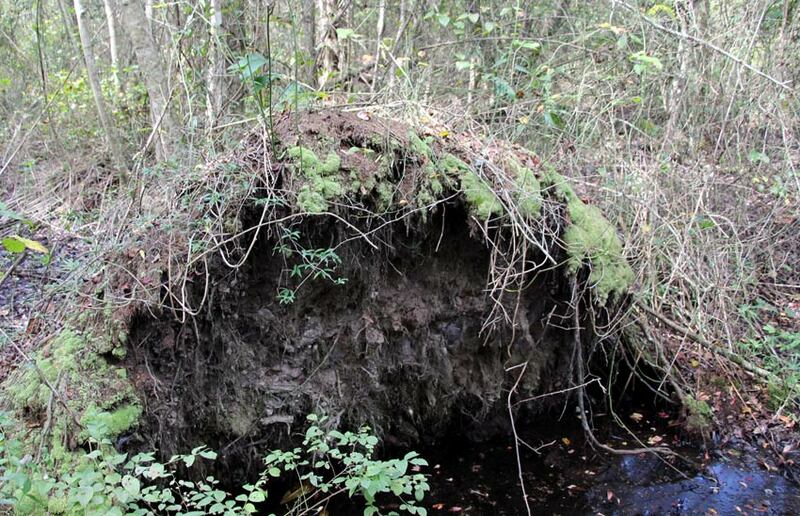 Some small artifacts attributed to the tribe have been excavated, although to date no human remains have been discovered, possibly due to the swamp’s acidity which could disintegrate human bodies. 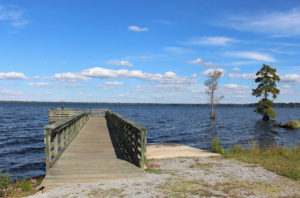 In 1665 North Carolina’s first governor William Drummond discovered the lake, which was later named for him, marking the first time a person from the English colonies reported the lake’s existence. As you may have guessed, he didn’t find much to like about the swampy border. Not a fan. 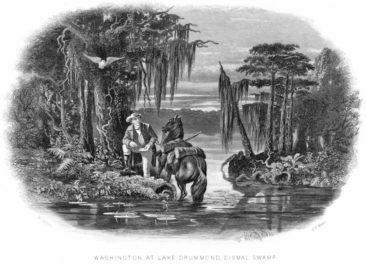 Fortunately, the Great Dismal Swamp’s next famous visitor saw a bit more to like about the area. 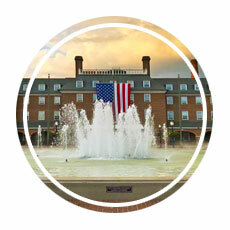 George Washington, who was still 25 years from becoming the first president of the United States, toured the area and saw great potential for commercial opportunities. 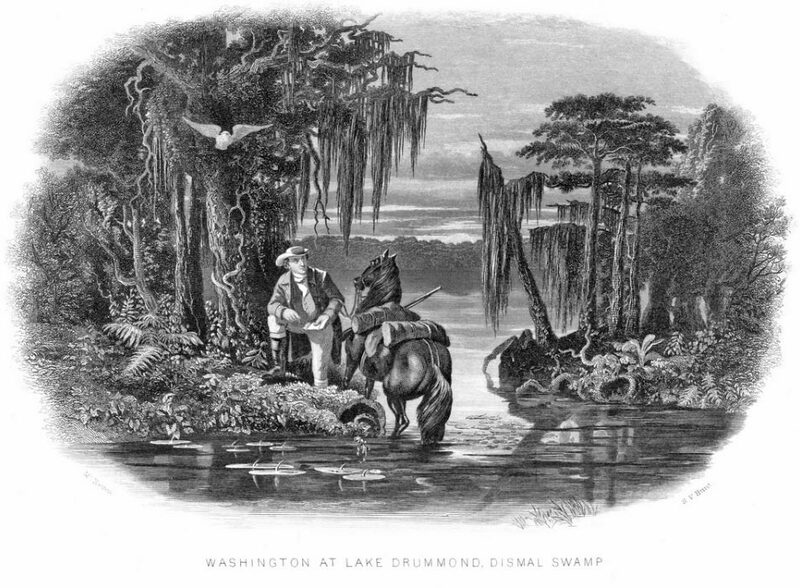 He founded the Dismal Swamp Land Company, which sought to drain large portions of the swamp in order to clear the land through timber harvesting and prepare it for settlement. 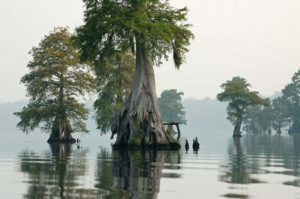 One of the biggest challenges for any group of people who wanted to settle in the Great Dismal Swamp was the lack of easy access to it. 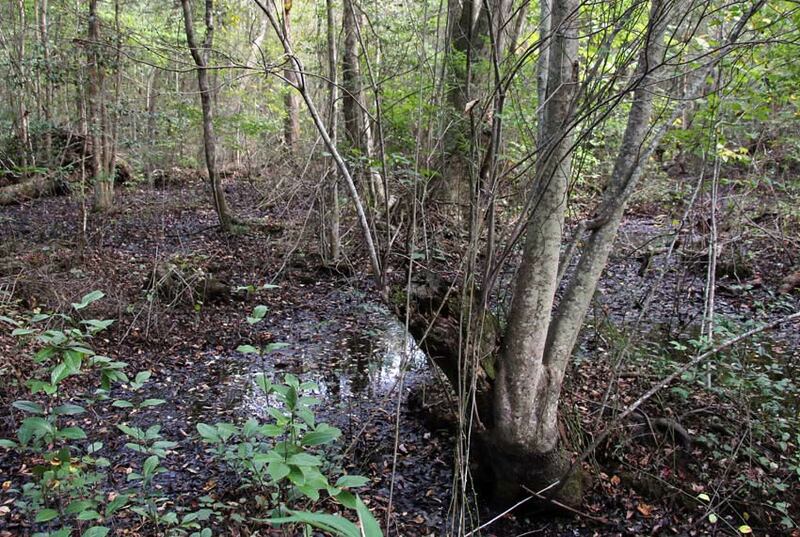 There were no waterways leading into the swamp, and the vegetation was too dense to support roads or train tracks. 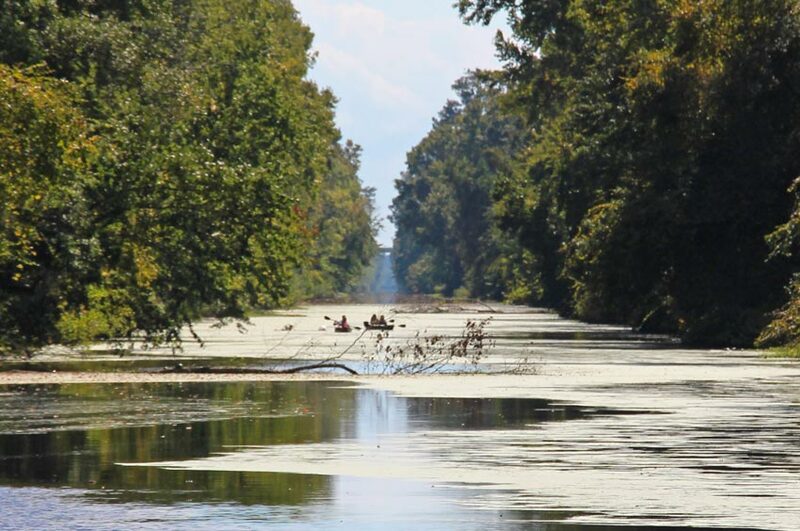 In 1805 the Dismal Swamp Canal opened, followed by a railroad in 1830. This made logging and otherwise developing the swamp a much easier task. 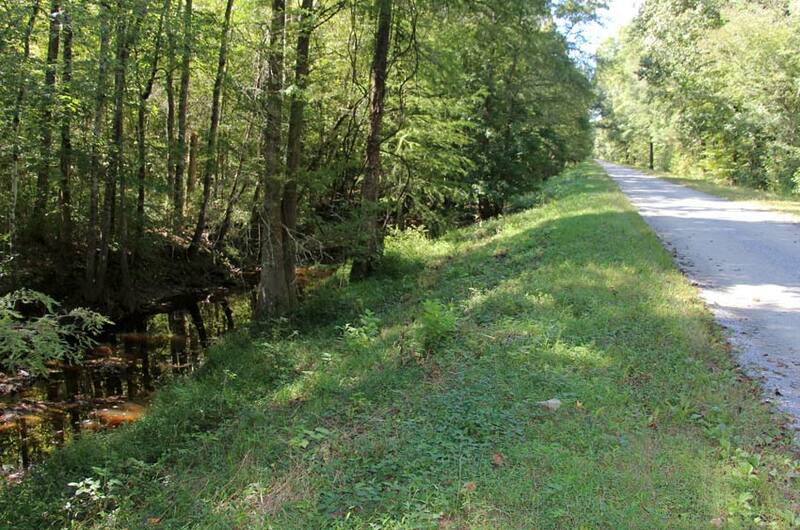 The drainage ditch that Washington and his company constructed is still visible to this day. 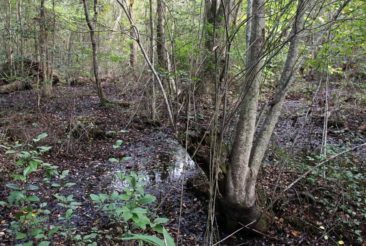 By the 1820s the swamp had a new role: it became a hiding place for slaves escaping the South as part of the Underground Railroad. 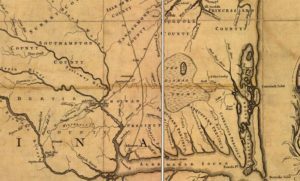 Immortalized through Harriet Beecher Stowe’s second novel Dred: a Tale of the Great Dismal Swamp, thousands of free and escaped slaves fled to the area to hide or, sometimes, to permanently settle. While many continued on to the north and to freedom, some former slaves opted to stay behind and build homes deep in the swamp. 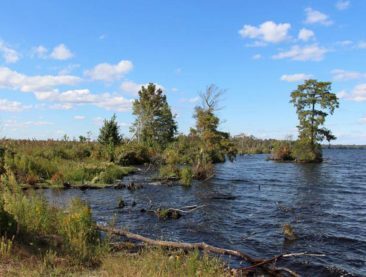 Almost a century later, preservation groups began to call for stronger efforts to protect the Great Dismal Swamp. With more groups recognizing the ecological value the swamp provided, it became clear the protecting the plants and animals who called the swamp home would require government assistance. 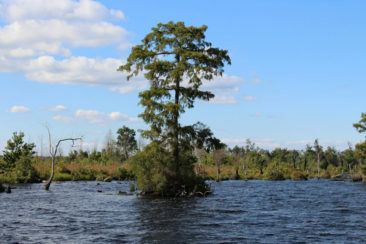 In 1974 the US Congress established the Great Dismal Swamp National Wildlife Refuge through the Dismal Swamp Act, which has allowed for the continued protection and restoration of the area. Planning a trip to the Great Dismal Swamp is simple to do. 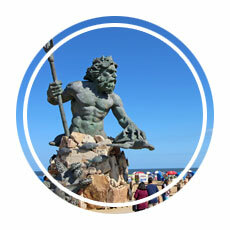 Located close to the popular tourist areas of Virginia Beach and North Carolina’s Outer Banks, it’s an easy day trip if you’re in the area. Access to most of the park is free, and visitors have several options for how to spend time there. No matter what your plan is for your time at the Dismal Swamp, start by spending a few minutes at the visitor center. 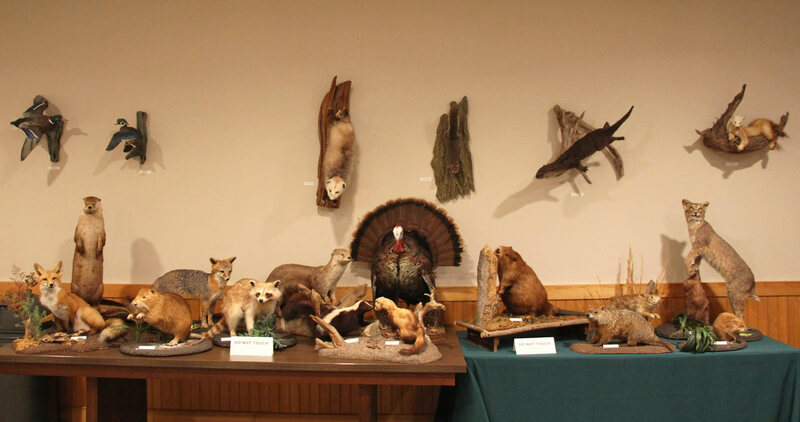 The visitor center has a nice museum as well as a room full of taxidermy where you can see some of the birds, reptiles, and mammals that inhabit the swamp. It’s a great place to brief yourself before venturing out into the swamp; understanding the history and being prepared for the other living creatures you may encounter will make your visit more enjoyable. Equally important is the visitor desk, where park staff can help you to get your bearings and understand your options. 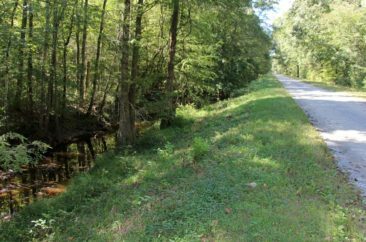 Hiking is one of the most popular activities, and you will find 28 miles of paths throughout and around Dismal Swamp State Park. 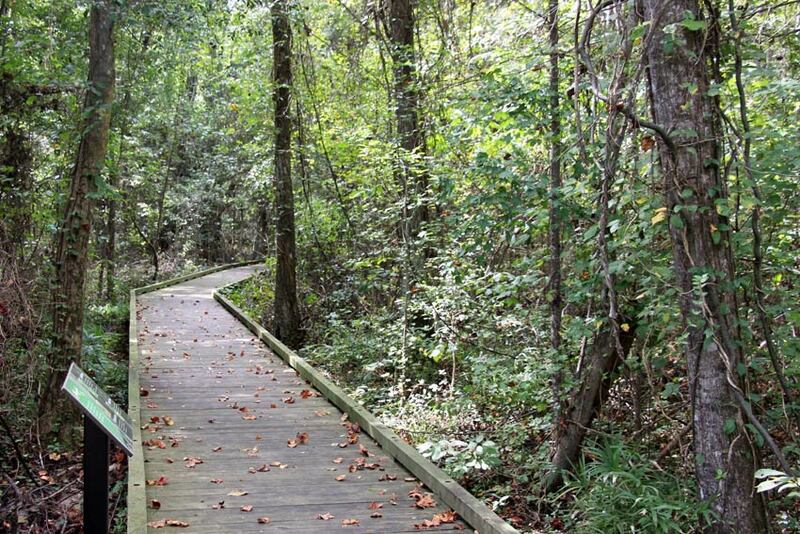 If walking or running more than a marathon is more effort than you plan to expend during the day, take the half mile boardwalk loop which allows visitors to walk on an elevated, marked path to see a small portion of the swamp. While you likely won’t see some of the swamp’s more elusive residents, like black bears and bobcats, you will see all manner of insects. Although I am terrified of spiders, I eventually stopped flinching every time I saw one sliding down from a tree on a thin strand of silk. Keep your eyes trained for birds, turtles, and deer, all of which pop into view just as quickly as they disappear into the dark woods. 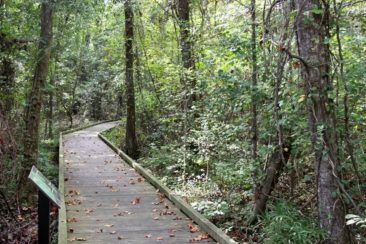 In addition to the path available close to the visitors center, a ¾ mile elevated boardwalk in the Washington Ditch takes visitors even deeper into the woods, where wildlife sightings might be more likely. For visitors with a little more time, there is a trail that extends from the Washington Ditch all the way to Lake Drummond, which makes for a nice walk, run, or bike ride. Kayaking is another popular activity, and Lake Drummond provides a great backdrop for anyone who wants to spend a day on the water. Lake Drummond is enormous at more than 3,000 acres, but it’s shallow; it averages just three feet in depth and is no deeper than seven feet at any point. That makes it perfectly serviceable for kayaking or canoeing, and even small motorboats can function well. 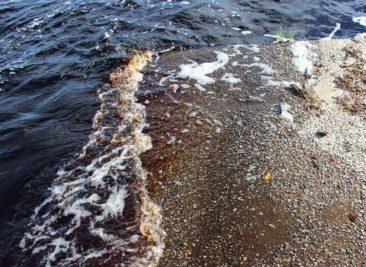 Don’t fall in, though; Lake Drummond is very dark because of the peat, or decaying vegetation, that seeps up from the bottom. Even though it is a freshwater lake it is not desirable for swimming. As we stood on the viewing deck we laughed at the small waves forming on the lake’s surface. While in most lakes you would see small white caps forming, Lake Drummond’s waves are brown caps due to the peat caught in the waves. Fishing is possible at Lake Drummond, but only a few species are able to survive in the water, which is highly acidic and low in terms of nutrients. Plan your trip to the Great Dismal Swamp and visit both the Virginia and North Carolina sides! Especially in the summer, the woods are absolutely infested with mosquitos, ticks, and other bugs, so be proactive and bring some bug spray to ward them off. Similarly, sunscreen is important even if you will spend most of your time in the woods. The tree cover is dense, but sun rays slip through and can cause some damage if you don’t protect your skin. The Great Dismal Swamp is a National Wildlife Refuge, and for good reason. 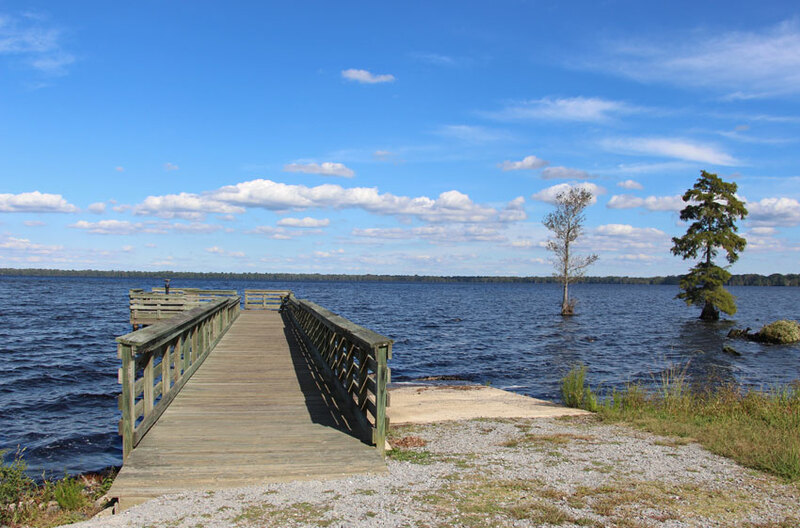 It is home to black bears, deer, bobcats, snapping turtles, plenty of mosquitoes and insects, a wide variety of birds, and snakes- including rattlesnakes and water moccasins. There was even a time when panthers were known to roam the area around the swamp. You never know what you will encounter, so keep an eye out just to be safe. Another protective measure against the bugs and the sun is to dress for the occasion. Wear long, loose, lightweight clothing to keep yourself cool in hot months while also adding a protective layer between your body and the elements. 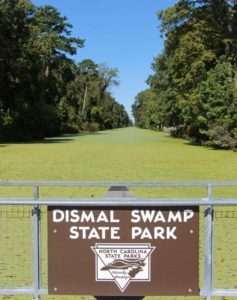 Dismal Swamp State Park is a popular hunting area, and the park closes at times during the fall to accommodate those who want to hunt. If the park is closed for hunting, it is in your best interest to not enter the areas that are open to hunting without ensuring you are completely visible to them. 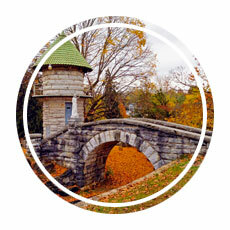 Check with the visitor center to ensure you know what parts of the park are available to you based on your interests. If you plan to visit Lake Drummond by car, you will need to purchase a permit from the self service station on your way into the area. Take one of the envelopes (if available) and enclose your cash to ensure you get credit for paying. There are fines if you don’t pay for a permit upfront and are caught without one. Gas stations and restaurants are not part of the park, and you will likely do a decent amount of driving, so be sure to have a full tank before you go. The same goes for food—take some snacks with you to stave off hunger before your visit is over. 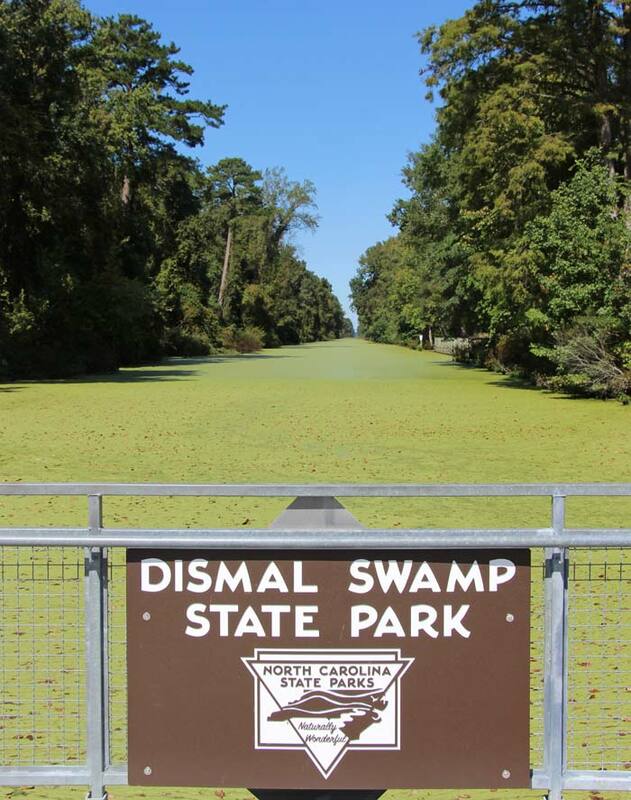 Cell phone service is, for the most part, nonexistent in Dismal Swamp State Park. Be sure you have a paper map or a screen shot of a map before you take off to explore. There is a good chance your GPS will not work in the park, which means you could find yourself lost or stranded without the proper precautions. So, mire and nastiness or glorious paradise? After spending a day at the Great Dismal Swamp Adam and I have to agree with George Washington. There is much more to like about the swamp than there is to hate about it. Sure, you’ll encounter some creepy crawlies and work up a sweat as you traverse the park, but it’s worth it to experience the protected ecosystem and see for yourself how important balance is in nature. 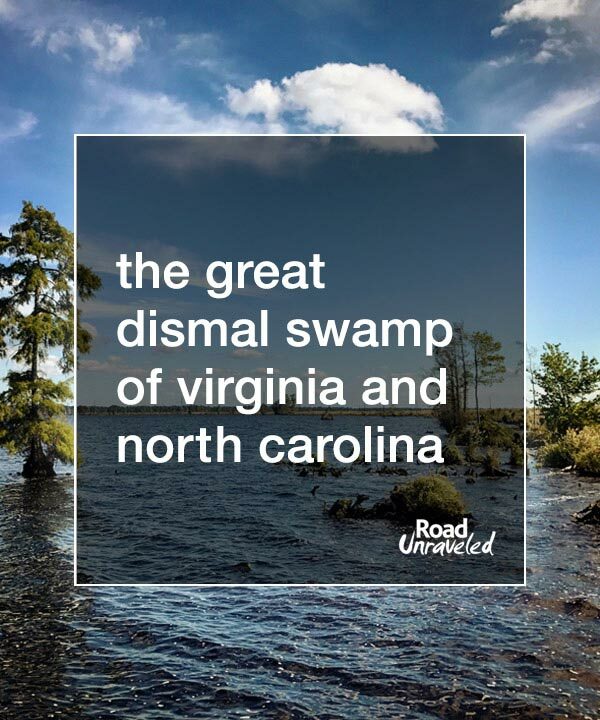 The next time you are in the Mid Atlantic region of the United States, consider heading to the Great Dismal Swamp—and let us know what you think! 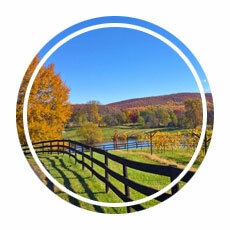 Are you planning a trip to Virginia? Here are a few interesting places to visit around the state!